"Some people would argue that writing stories about rebellious people is not actually an act of rebellion," says Sachdeva, "but I believe those people underestimate the extent to which we internalize a story that really moves us." 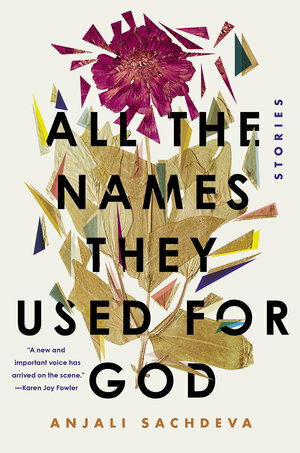 Anjali Sachdeva's debut short story collection, All the Names They Used for God, has been critically acclaimed by writers like Roxane Gay, Anthony Doerr, Chris Offutt, Dave Eggers, Kelly Link, Kevin Brockmeier, Carmen Maria Machado, and Karen Joy Fowler. In this interview, we discuss how she approached the themes of the stories in this collection and the choices she makes regarding style and structure. We also talked, particularly, about her love for the short story form and what she is working on next. In this collection, the stories have several themes: gender issues, marginalization, and others. The main one, of course, is this reach toward something greater and beyond oneself — the new gods. I loved your introduction on this. Please tell us a bit more about your thoughts on old gods versus new gods. It's funny, I went back and forth for a long time about whether or not to include the introduction in the final version and, in the end, decided not to. The basic idea I was addressing there was this concept that many of us today worship science or nature or other forces the same way that people have always worshipped deities, but we do it with this sense that deities are unfailingly benevolent. As though science will fix everything if we can just understand it well enough. I just don't think that's true. I think there's always a connection between creation and destruction, and when I read old fairy tales and mythology, it's clear that the people who wrote those tales thought the same thing. Those stories are filled with blood and suffering and violence just as much as they are with the kind of beautiful magical salvation that the term "fairy tale" invokes in a colloquial sense. It's important that we consider how that same principle of balance applies to the things we worship these days. The main characters are all from the margins of society. In a number of cases, this is because of some debilitating disability, which is, as you've said, a kind of social isolation/rejection. Please tell us about why this featured so frequently in the collection. I'm just more interested in people who are in some way apart from the mainstream. People who are isolated — whether it's because of a disability or just because they're too strange for most people's taste — find their own ways to build community and navigate the world, they craft their own social rules, and those alternate ways of being are interesting to me. Of course, in most cases, there's always a tension between that alternate world and the standard world, and there's a similar tension between magical reality and consensus reality. And the characters are also seeking redemption out of some sort of hope. Are you a hopeful person? Do you see, despite all that's going on now (in the US and beyond), the possibility of salvation, whatever form that might take? Or do you see more marginalization and a greater search for newer gods? I am, at heart, a hopeful person. Maybe even naïvely so. But I think that hope and rebellion are inextricably linked. Unless you believe that everything is already perfect, there has to be some kind of pushback in order for society to improve. And one of the best ways to encourage that kind of behavior is to model it. So many of the stories in this collection are about rebellion because I want people to be thinking about rebellion. If you look at something like the #MeToo movement, it started with a few people coming forward and then, at some point, it reached a critical mass. From then on, it's just been this cascade of defiance, of people naming names and refusing to let things go on as they were. Some people would argue that writing stories about rebellious people is not actually an act of rebellion, but I believe those people underestimate the extent to which we internalize a story that really moves us. In the introduction to her novel The Rending and the Nest (Bloomsbury, 2018) Kaethe Schwehn writes, "The most dangerous thing of all is the absence of a story, a narrative to explain what is happening to you ... Because someone will always arrive to invent one. Then you will be at the whim of someone else's story..." I absolutely agree with that, and I think there's a lot of hope to be found in reading stories where you see people fight back against injustice and ugliness. You've mentioned elsewhere about your childhood reading about fantasy lands. And about spending a lot of time thinking about "the places where everyday life gives way to magic, where science and psychology and history spill over into the inexplicable." So all that was clearly a good part of the motivation for these stories. But as you explored these spaces between reality and "just-beyond-reality" (I won't call them "fantastical", as they're not quite that) through the writing, how did they, if at all, rewire your brain in how you approached life in general? I can't help but think that has to happen because writing is such an intimate process. Actually I would say it was the opposite — that I go through most of my life trying or hoping to see the world in this way, or trying to find the parts of the world that are magical, and as a result that carries over into my stories. I'm never as excited as when I read about or encounter some part of reality that defies explanation. That might be an amazing coincidence, or it might be a scientific development. But, somehow, things like that seem hyper-real to me, as opposed to fantastical. Like those kinds of moments are real life and everything else is filler. I liked your endings particularly. I believe, as Colum McCann has said, that "Never forget that a story begins long before you start it and ends long after you end it. Allow your reader to walk out from your last line and into her own imagination ... Your last line is the first line for everybody else." How do you approach your endings? Do they evolve organically or do you have them somewhat in mind when you're still writing the story? Was there an ending here that you particularly struggled with? My endings definitely evolve as I write the story. They are almost always the last thing I write, and it's not at all uncommon for me to write three or four different endings before I find one that I'm satisfied with (to say nothing of the additional revisions where I fiddle with the ending to try to get the pacing and the cadence and the final note just right). I have heard some great writers say they always or often write their endings first, or at least know what the ending is going to be when they start out, but I am almost never in that position. In this book, I'd say the endings of "Glass-lung" and "Anything You Might Want" were the most difficult. With "Glass-lung", I changed the ending slightly between when the manuscript was submitted for publication and when it was published, based on the editor's comments (which I agreed with). With "Anything You Might Want", I knew when the story had reached its end point, but I must have rewritten the last page a dozen times or more trying to get it just right. If someone sat me down with it today and put a red pen in my hand I'd probably start toying with it again. Your writing has been likened to that of Carmen Maria Machado. 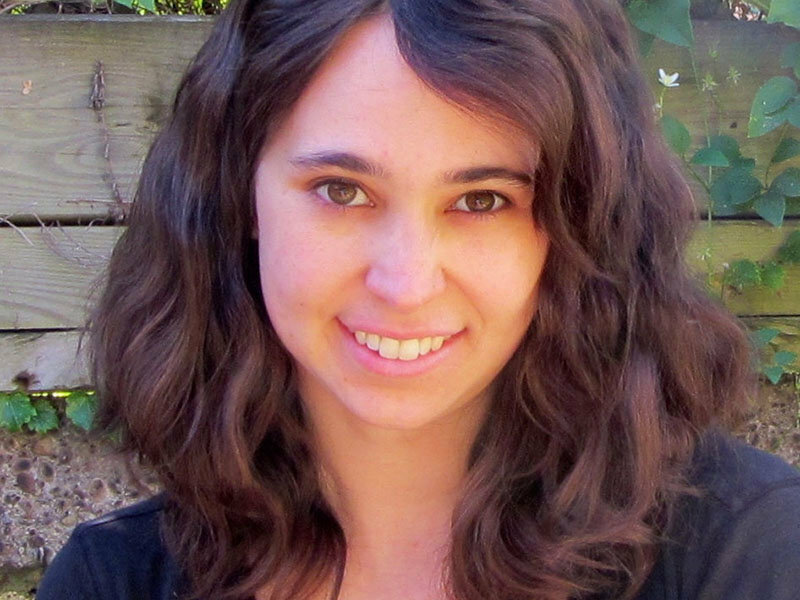 I saw shades of Aimee Bender more than Machado, I must admit. I'm sure these were not conscious choices and your writing is distinct enough to stand apart on its own. But which writers do you most look up to — contemporary or otherwise? I do love old short stories — O. Henry and Kate Chopin and Guy de Maupassant — because they have a very different feel to them than contemporary stories. In those classic stories, there's often so much held back until the last paragraph or the last page, some big reveal. If you tried to do that now, it would seem hokey or forced. But when they do it, it's brilliant. In terms of contemporary writers, it's very hard to pick just a few. I'm a sucker for beautiful prose, so I love Anthony Doerr and Kevin Brockmeier, who both write stories that are full of magic but also just letter-perfect on a prose level. [I like] Salman Rushdie for the same reasons, though his style is completely different. I love Kelly Link and Karen Joy Fowler for both their inventiveness and their feminism. I still feel indebted to the fantasy writers whose work I immersed myself in when I was growing up: Peter Beagle and Madeleine L'Engle and C. S. Lewis (though I realize he's not primarily a fantasy writer). About short stories in general: I totally agreed with the reasons you gave in your Tin House interview for why you love the form. There are so many literary magazines publishing short stories now. Various well-known awards are now dedicated to this form. So, clearly, there are many amazing writers who enjoy writing them as you do (and as I do.) Yet, as you mentioned in that interview, agents and publishers are still leery of this form, particularly for a debut book. Why is that still the case, do you think? Where do you see the form going? You're still writing short stories too, you've mentioned. Actually, the process of publishing this book has given me some insight into why they're reluctant. It's because it's hard to describe a whole collection of stories in a way that makes someone immediately want to pick it up. Because if people have never heard of you, the author, they want to know what your writing is about, as in "what's the subject matter?" With a novel you can usually explain that —"It's about a group of people who set out on a three-hour boat tour and end up being marooned on an island for years" — and then the reader can decide whether they are interested in that. But, unless you're writing a collection where the stories are very closely linked or exploring one premise, there's no tidy way to summarize the subject matter of a short story collection. So then you're left trying to describe the stories as a group, or the writer's style, and it's very challenging to do that in an enticing way within a sentence or two, which is often all you get. To be perfectly clear, I don't think it's a great way for readers to choose novels either; I've read some wonderful novels where, if all I'd had to go on was a summary of the subject matter, I probably would not have been interested. But there are a huge number of books being published every year, and many media outlets that are only able to devote a few sentences to book recommendations, and readers who have to choose what to read somehow. It's just not a setup that favors story collections. That being said, there are still lots of amazing collections being written, and being read and appreciated. I think there's huge potential for the form to expand right now. The success of something like the TV show Black Mirror shows that people can be really excited by short, stand-alone stories. Part of the appeal of that show is just seeing what the premise is going to be each time — what's the idea, what's the twist? The excitement of always beginning something new. If people were to think of short stories collections in that way — as a form that affords the opportunity to be transported to a completely new and surprising world every time you return to the book — they might realize that in fact they love story collections. I'm still writing short stories and I don't think I'll ever stop, because there are a lot of amazing ideas out there that I want to explore in writing, but not necessarily explore for 200+ pages. I love that your stories have characters from all over the world. Truly diverse settings too. That said, I'm curious as to why there isn't a single character of Indian origin in these stories. I don't think you "have to" write about your own ethnicity, necessarily. But there is this idea out there about #OwnVoices and about representation in culture for minority groups. I had to think about this question a long time before I could answer it, because this isn't a choice I made consciously. But I'll give it a whirl. My father is Punjabi, my mother is American (Polish and Italian). I can't speak more than a few phrases of Hindi and, to most people, I look white. No one, once they see me, ever thinks I'm Indian and, if I want them to, I have to go out of my way to try to "pass" as Indian—by wearing traditional clothes, for instance. I think one result of this is that I always feel like a bit of a fraud when I present myself as Indian. Largely, that's my own self-doubt at play, but not entirely. South Asian people who have only communicated with me by email usually do a distinct double-take when they meet me for the first time, as if to say, "But where's that desi I was expecting?" So perhaps I'm just too insecure to inhabit Indian characters in my writing. Of course, I'm not Nigerian or a person with albinism either, and I'm writing those characters. But, in those cases, it's really clear that I'm writing about people who are different from me. No one expects me to have any insider knowledge or "ethnic authenticity", if that is even a real thing. You've mentioned you're working on a novel right now and more short stories. Along with raising two young daughters. That's plenty. I'm curious about what you're also reading these days? Some writers cannot read fiction when they're writing it. Some only read between writing projects. How does it work for you? I have no trouble reading when I'm writing. The only exception would be if I'm reading something particularly voice-y; then I need to take a break between reading and writing or some trace of that voice carries over. Really, the only thing keeping me from reading at the moment is lack of time. I do have two small kids and I teach full time. And, of course, I'm still trying to write as much as I can. So, right now, I have a mounting stack of books next to my bed just waiting for the end of the semester so I can dig into them. Some of my favorites from the past year have been The Rending and the Nest, by Kaethe Schwehn (mentioned above), We Show What We Have Learned by Clare Beams, and an old copy of World's Best Science Fiction 1971 that I found in my dad's basement. I'm currently in the middle of Vandana Singh's Ambiguity Machines: And Other Stories, and loving it, and looking forward to reading Tom Sweterlitch's The Gone World. And, finally, though I won't push you to talk about your current works-in-progress, I'm curious to know which two-to-three themes/issues are most on your mind these days. You know, the kind that make you think you really want to explore them more by writing about them? I'm thinking a lot these days about memory and how it shapes us. And also about the various ways in which the destruction of the natural world is manifesting, ways other than climate change, the smaller things. But, when it comes to stories, the field is always open. On any given day, I might run across something in the news or in a passing conversation that's going to spin me into a new story. My job is to keep paying attention so that I'm ready to see those stories when they appear.